Most of you have already been introduced to this world and you know the story here. 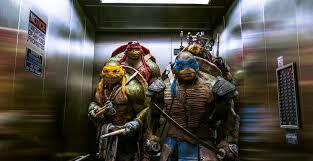 The Turtles have been raised from birth in a lab and upon its destruction Splinter (the rat), is left to raise Raphael, Donatello, Leonardo and Michelangelo beneath the sewers of New York City. The evil kingpin Shredder aims to take over the city, The Turtles along with very determined and driven news reporter April O’Neil, must band together to stop him and save the city. The cast includes Megan Fox, Will Arnett, William Fichtner and Whoopi Goldberg. The voice actors are Alan Ritchson, Noel Fisher, Johnny Knoxville and Jeremy Howard. 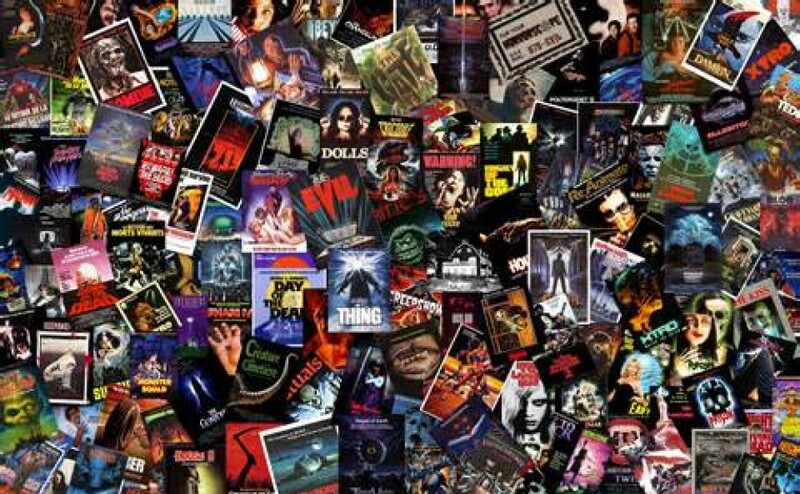 I’m going to attempt to talk about the film without making comparisons to the original trilogy of films from the 90’s (that might be difficult to do haha). Firstly, this installment was made in 3D, well released in 3D anyways. Most of the time the films that are being shown in 3D these days are hoping to enhance the viewing experience and for the most part they do. 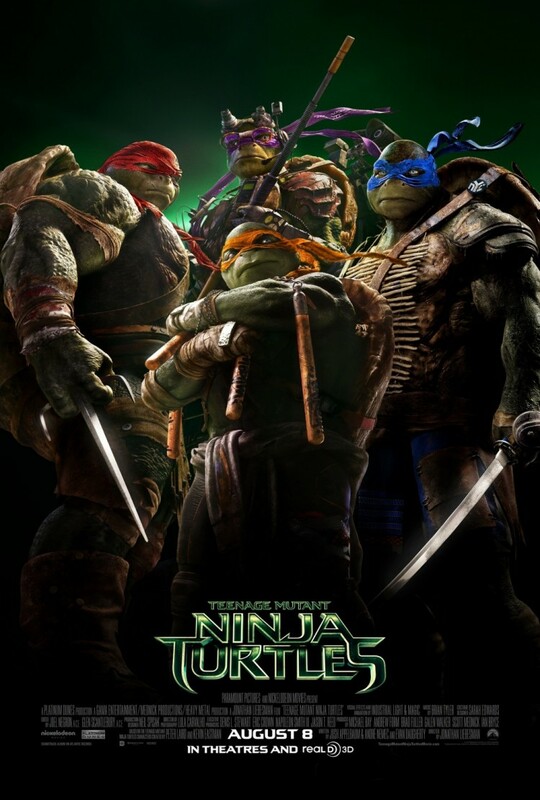 I can’t help but feel that TMNT didn’t need it. Michael Bay always feels the need to be bigger and better and I think sometimes it’s just easier not to try to outdo yourself. The one thing I really enjoyed about this version was the effort involved in depicting a great back story, which I think is the films strongest aspect. We got a bit of insight into the turtles and what’s taken place in the past and how it’s led to the plight they now find themselves in. I never read the comics so I don’t know how well that aspect was covered but I don’t remember them ever divulging all that much information in the 90’s films. The acting for the most part was solid though I’m not sure Megan Fox can pull of a lead role. Emotionally I don’t think she can really hit the mark that’s necessary, maybe it’s not needed in a film like this but I don’t think she is going to ever make the change to more serious drama films. The CG was very impressive but with a budget of over 100 million dollars, most of which gets spent on CG and paying the actors, I would expect it to look this good. The best parts are the chase/action sequences between the turtles and Shredder’s men particularly in the final act. The main reason most of us adults watch these types of films so we can step out of reality for 90 minutes of fun and for the most part this reboot does that. The biggest letdown of the film is unfortunately in some of the casting. For example, I like Will Arnett I think his work in Arrested Development was hilarious. He will forever be Stranz Van Waldenberg too me (Blades Of Glory reference people haha), not cameraman Vernon Fenwick in TMNT, it just doesn’t work. It’s not his fault but the lines the writers gave him were just in the hopes of getting some cheap forced laughs and it just came across like he was trying too hard. Without those jokes he literally had no purpose being in the film. If that wasn’t bad enough you just know William Fichtner as Eric Sacks, owner of a big wealthy corporation is going to turn out to be bad before the film even gets underway (duh! we all know that). The fact that his motive is money when he’s already at least a millionaire seems painfully unoriginal. William is a wonderful actor but he is always the bad guy so cast someone else and don’t make it so damn obvious. If you don’t want the film being labelled predictable and comparisons to the rest of your body of work try something new. 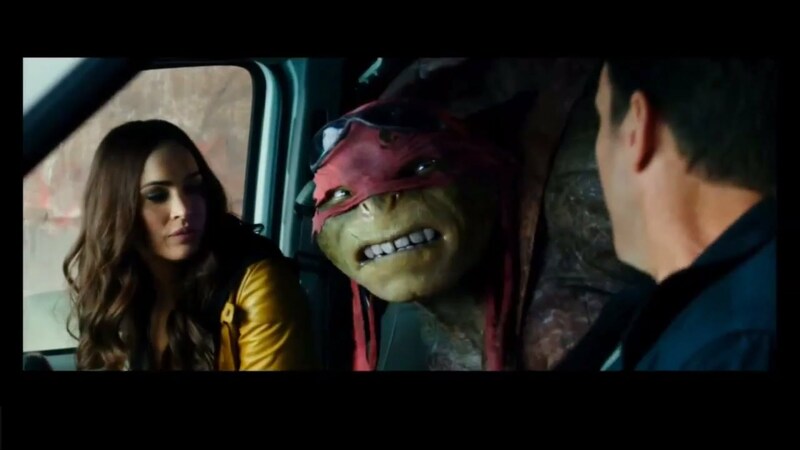 On another disappointing note, the lack of banter and one liners from our Turtles and Splinter changes everything I remember and love about Teenage Mutant Ninja Turtles. Other than one Pizza reference and a couple of inside jokes between turtles, the humour was non-existent. Shredder’s men look like a knock off of Special Forces and not old school ninjas. One of the best things about the 90’s films was those ninjas, think of the battle with Keno and the ninjas in the shopping complex which I think is in the second film. I was hoping for those types of nods towards the original films but got nothing. The way in which this was shot was also pretty rapidly cut together. The second half of the film was better but the action sequence in the truck on the mountain went on and on. Combine the length of the scene with the way they displayed the CG snow and the handheld shaky camera work as the turtles slide out from under the truck etc etc, and it let’s the entire scene down. 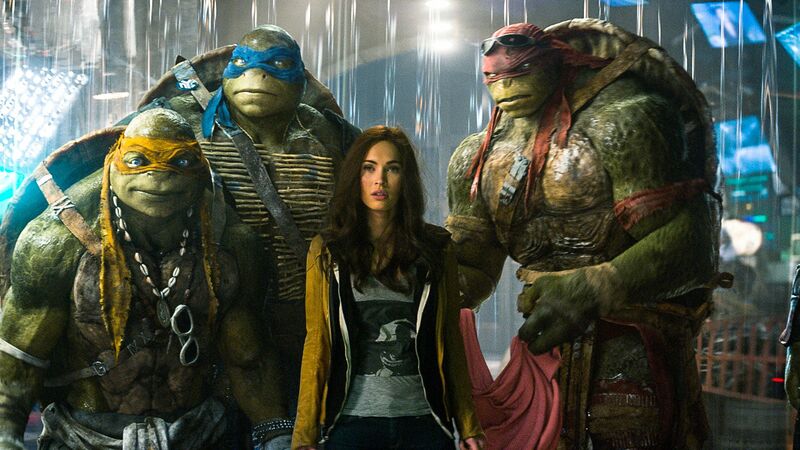 This reboot of Teenage Mutant Ninja Turtles probably didn’t need to be made. I’m not saying it’s not an entertaining enough 104 minutes to kill, but it’s just a very by the book and predictable end product. It misses the mark on a basic level of humour and nostalgia towards the chessyness that was the 90’s films. The digital effects were a standout but I think in modern-day filmmaking voice actors in turtle suits (like in the 90’s) would have worked just as well. Was this a success considering over 100 million dollars was spent on making it?? Probably not. Is it worth a look on a Saturday night though? Sure. COWABUNGA DUDE!